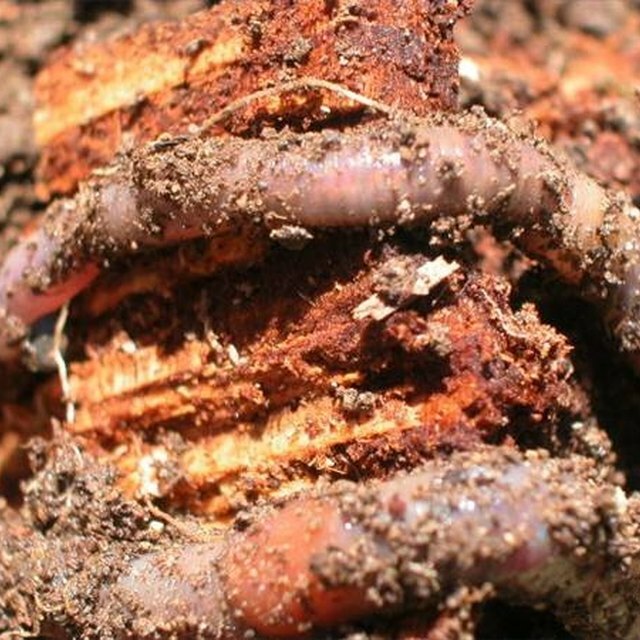 How Do Earthworms Protect Themselves? Why Does an Earthworm Have a Closed Circulatory System? The little earthworm is hugely important for agriculture. It plays a large role in keeping soil productive, facilitating aeration, compaction and water infiltration and producing organic matter to increase crop growth. The earthworm has evolved certain structural, physiological and behavioral characteristics to help it grow, reproduce and survive in its environment. Earthworms are soft-bodied, segmented worms, usually pink, brown or red in color and only a few inches long. They burrow deep in the ground during the day and resurface at night to feed. An earthworm's body is streamlined and every segment contains a number of bristles called setae. The streamlined shape helps the earthworm travel through soil, and the bristles improve grip if the soil is wet. Circular muscles surround every segment of an earthworm's body. These muscles work alongside another group of muscles running down its entire body to help the earthworm move. To feed itself, an earthworm pushes its pharynx out of its mouth to grab its food, then takes the food back into its mouth and wets it with saliva. Some earthworm characteristics have evolved to help it regulate its bodily functions, like breathing, and protect itself, such as by excreting chemicals. 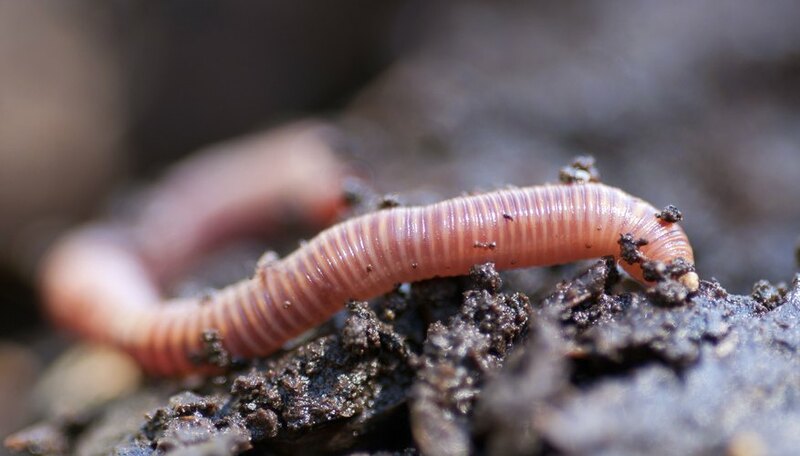 Many earthworms release mucus to help them move more smoothly through soil. Some species of earthworm burrow, and their mucus creates a binding substance to stop the walls of their burrow caving in. In some species of earthworm, such as the Octochaetus multiporus, which is native to New Zealand, the mucus may also protect it from bacteria in the soil. To survive changing environmental conditions, like hot or dry soil, an earthworm sometimes goes through diapause or hibernation. It becomes inactive, travels deeper into the soil, rolls itself into a tight ball, releases protective mucus, and its metabolic rate drops to lower water loss. The earthworm stays like this until its environment becomes more habitable. An earthworm can't see or hear, but it is sensitive to vibration and light. Most species stay in soil, burrows or piles of leaves during daylight and on the surface of the ground during the night and early morning. An earthworm absorbs and loses moisture through its skin and migrates or reproduces when the ground is wet with dew. An earthworm can live under submerged conditions if the oxygen content of the water is high enough, but it moves to the surface to avoid suffocation when soil is extremely wet. An earthworm is a hermaphrodite, meaning it has both female and male reproductive systems. Mating earthworms exchange sperm by lying side by side. Gillespie, Claire. "Earthworm Characteristics." Sciencing, https://sciencing.com/earthworm-characteristics-5480698.html. 10 April 2018.